sorry but, no more please. I am done with my grocery shopping. They reve me no tip! I can understand banning Frenchmen... but why dogs ? Phew, for a minute I thought it said HENCHMEN. 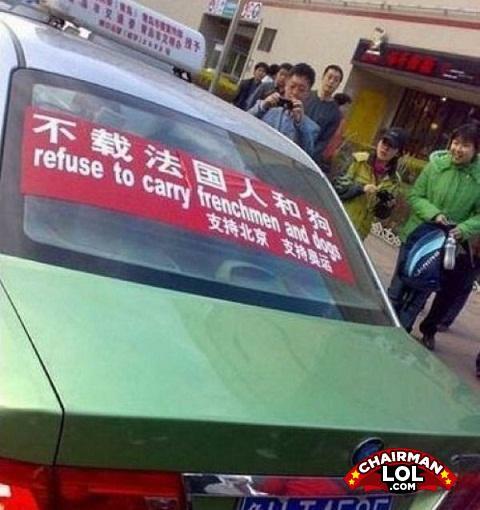 Glad to know my minions in the Chinese league of evil can get a cab.Better warn the french division though. Frenchmen aren't that bad. Their bark is worse than their bite.